In a quiet cul-de-sac with back deck overlooking private wetlands lot. Charming full front porch with a swing. 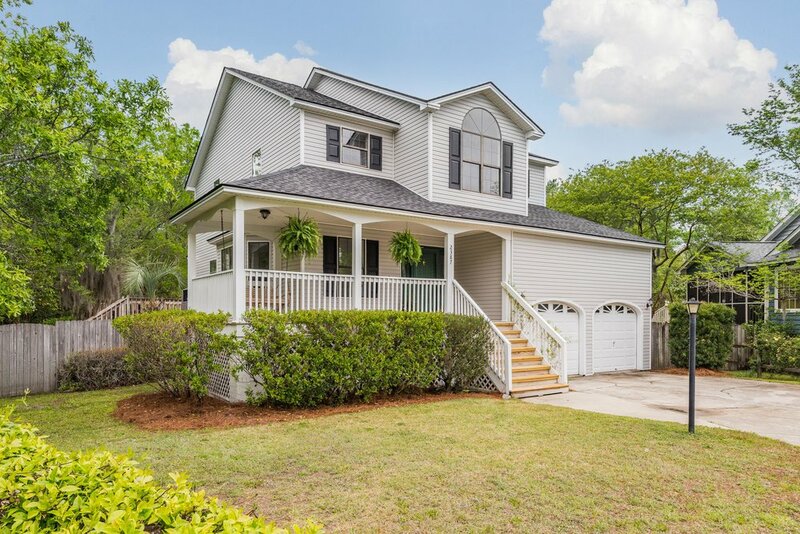 3BR/2.5BA with Bruce wide plank, hand scraped hardwood floors throughout - even upstairs! Master suite upstairs with vaulted ceiling, double closets, and huge bath with separate vanities, private toilet room, garden tub and separate shower. Upgraded kitchen with breakfast nook plus a formal dining room. Family room has a fireplace, beamed ceiling and a wet bar. Walk-in laundry room downstairs and tons of storage in the 2 car garage. You will love this lot! Great privacy behind. Hot tub built into the deck conveys.